Automotive brands are churning out new models faster than even they can believe. With redesigns, new model introductions, and in-vehicle tech upgrades, the auto industry is becoming one of the fastest paced markets in the world. While auto brands were overly concerned with producing as many vehicles as they could, quality control seemed to have been lost in translation somewhere along the way. Every year, the renowned industry experts at Consumer Reports release a list of the least reliable cars, and this year is no exception. If you are looking to buy used cars in 2017, take the following list as a lineup of vehicles you shouldn’t consider for your next new-to-you car purchase. What Makes a Car Unreliable? The list of least reliable cars is released by Consumer Reports at the end of every calendar year, and it focuses on vehicles that were the subject of considerable dissatisfaction amongst owners. The Consumer Reports National Research Center sent out a questionnaire to vehicle owners, asking them to note any issues they had within the first twelve months of ownership. Participants were also asked to check off any issues that resulted which were covered under the manufacturer’s warranty, such as engine, transmission, climate controls, electrical system, brakes, and power accessories. After gathering the data, Consumer Reports analyzed participant responses, and came up with their list of the least reliable vehicles for 2016 – which consequently, is the same list of used cars you shouldn’t buy in 2017. GMC Yukon – Manufactured by General Motors and GMC, the Yukon was found to be notorious for major issues in 2016. The study by Consumer Reports found that the Yukon is more susceptible to problems with power, in-vehicle technology, and steering. A big problem for drivers who rely on this full-size SUV for towing trailers and other large items. Ram 2500 – The second car to make the list of used 2016 vehicles you shouldn’t buy is the Ram 2500. While the truck’s 1500 and 3500 models were virtually free from consumer complaints, the 2500 series was another story. Steering vibrations was the most commonly reported problem, along with faulty emissions sensors, four-wheel-drive components, and power equipment that fails prematurely. For a full-size pickup packed to the brim with things like an auto-leveling air suspension and a high-performance Cummins diesel engine, the overall consensus has still labeled it a dud. Ford Fiesta – The 2016 Fiesta is Ford’s entry into the competitive subcompact car segment, and apparently – the brand should have stopped trying in 2015. The latest Fiesta model is reportedly abundant with issues, including loud noises, engine leaking, power equipment failure, and slipping transmissions. While automotive industry critics praised the new Fiesta model, consumers and owners of the subcompact told a very different story to Consumer Reports. Fiat 500L – Unlike the Fiesta, the Fiat 500L received both stern reviews from critics, as well as bad reviews from owners. The hatchback is riddled with so many problems that it has earned the top spot for the worst car in terms of overall reliability scores. 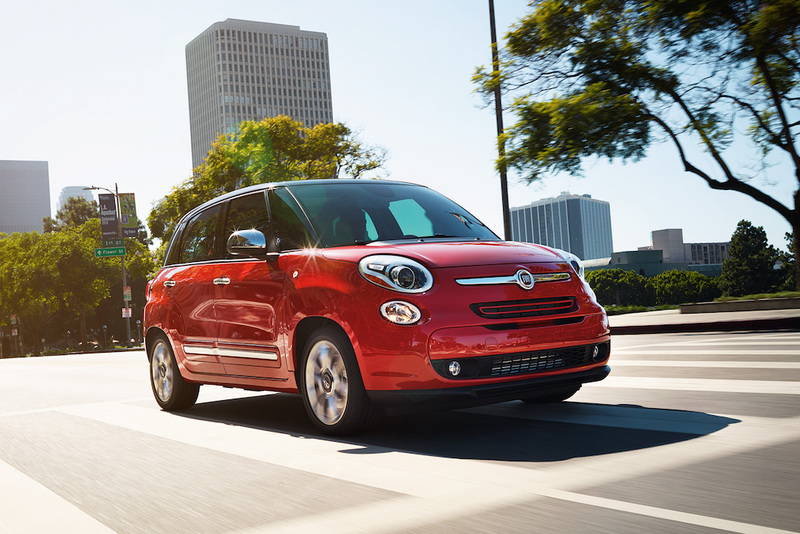 The Insurance Institute for Highway Safety was equally unimpressed, giving the Fiat 500L a “poor” safety rating. Whether you enjoy this particular vehicle brand or not, our advice is to stay as far away from the 2016 Fiat 500L as you can on your used car search. Tesla Model X – Many people may be surprised to see a Tesla on this list of least reliable cars from 2016, but alas – here it is. The Model X not only is a poor performer when it comes to overall reliability, but it also fares horribly when it comes to practicality. Problems with locks, power equipment, latches, on-board technology, and the climate control system is just a short list of all that the Model X has going against it. Chrysler 200 – When Consumer Reports first test drove the 2016 Chrysler 200, they weren’t impressed. With poor handling and a rough ride, the publication dubbed the sedan as being a “reliability albatross” for the Chrysler brand. Ouch. Bad news for the car brand was made worse when poor reliability ratings poured in from owners of the Chrysler 200. Citing a poorly designed and small backseat, cheaply made interior appointments, and a problematic transmission, the 2016 Chrysler 200 is another car to steer clear of when you buy used in 2017. GMC Yukon XL – Another vehicle from General Motors and GMC, the Yukon XL was regularly reported as having poor shifting, power equipment problems, in-vehicle technology issues, and an unreliable four-wheel-drive system. Skip the headache, and reach for a more reliable full-size SUV like the Tahoe when you head to your used car dealership this year. Jeep Renegade – The Jeep Renegade is one of the brand’s newer models, and despite the excitement it brought to the market, owners report it as a flop. Overall quality and reliability with the 2016 Renegade was found to be sorely lacking, including a rough and unresponsive nine-speed automatic drivetrain. Power equipment malfunctions were also widely reported, along with issues with in-vehicle technology and the new Tigershark engine. If you are set on this make and style, opt for the Renegade Sport instead, which did not make it on the list of unreliable cars from 2016. Ford Focus – Another dud from Ford in 2016 is the Focus. Consumer Reports found that every version of the 2016 Focus was riddled with issues, whether sedan, hatchback, or electric variant. A narrow cabin made passengers feel cramped, the 1.0-liter engine is not as responsive as it should be, and fuel economy is average. Premature problems, such as slipping transmissions and clutch replacements, were also widely reported to the publication. Cadillac Escalade – The 2016 Escalade was found to be one of the least reliable cars from last year. The luxury SUV was reported as having a stiff ride, failing four-wheel drive systems, premature transmission replacements, and more. Consumer Reports recommends that buyers stay away from the Escalade, and opt instead for a more reliable 2016 Chevy Tahoe. If you are in need of a pre-owned car this year, come down to Chevrolet of Naperville. We offer a large selection of quality used cars, trucks, and SUVs from all makes and models. Wherever you go, be sure to consult this list from Consumer Reports, and avoid these problematic models when buying your next used car.